Dr. Piper is a graduate of the University of Pittsburgh and the University of Pittsburgh School of Dental Medicine. In June of 2004, Dr. Piper answered his nation’s call to service and joined the United States Air Force (USAF) Dental Corp, where he completed his residency in Prosthodontics at Lackland Air Force Base in San Antonio. Dr. Piper earned his Masters of Science Degree from the University of Texas Health Science Center San Antonio. In addition, he competed in the inaugural American Prosthodontic Society research competition and was awarded first place for his efforts. Dr. Piper successfully completed the rigorous board certification process and was awarded his Board Certification in Prosthodontics in November 2007. Dr. Piper has been invited to lecture at multiple local and national meetings. His responsibilities with the Air Force has allowed for the unique opportunity to attend multiple CE opportunities as well as stay at the forefront of the Prosthodontic and surgical fields of dentistry, and the ability to provide some of the most advanced comprehensive care to his patients. 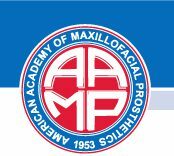 Dr. Piper maintains membership in the American Academy of Maxillofacial Prosthetics, American Board of Prosthodontics, American Dental Association and, now, the North Carolina Dental Society as well a a Tumor Board in Winston Salem, NC. He looks forward to becoming involved in the local dental community. In 2015, Dr. Piper resigned his commission as an officer in the United States Air Force to join Dr. Carnaggio in his dental practice. Dr. Piper prides himself on providing the highest level of care and compassion to his patients. 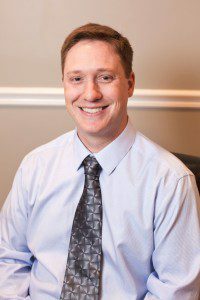 His ultimate goal is to provide his patients with an understanding of their dental condition and to improve the quality of life for his patients. Dr. Piper values family time with his wife, Shannon, and their four beautiful children: Eliana, Jimmy, Avonlea and Tate. They enjoy a variety of sports and activities and look forward to the exciting new ones that North Carolina has to offer. Dr. Piper also looks forward to having the opportunity to give back to the community.